An activated nut is a nut that has been soaked and sprouted to release its enzyme inhibitors. Enzyme inhibitors prevent nuts from sprouting at inappropriate times. This is an evolutionary mechanism that ensures nuts only sprout when environmental conditions will support the growth of young plants. Phytic acid and oxalic acid are examples of enzyme inhibitors, and are found in varying ratios depending on the nut.Of the four seasons, springtime is when we see nature come to life. Environmental conditions support the germination of seeds into seedlings. Rainfall is responsible for deactivating the enzyme inhibitors, which when coupled moderate spring temperatures supports the growth of freshly germinated seedlings into young plants. How do we activate our nuts? An activated nut is essentially a germinated nut. The activation process requires nuts to be soaked in water for a period of 12-24 hours depending on the nut variety. This deactivates the enzyme inhibitors and brings the nut to life. Once our nuts have been soaked, we then dehydrate them at low temperatures (40 degrees) over a 24-hour period. Dehydrated nuts have a similar flavour and texture to roasted nuts, however are much more nutrient dense and taste much fresher. Activating nuts makes the nutrients more digestible and easier to assimilate, they also taste delicious! Our almonds are Demeter certified organic almonds. 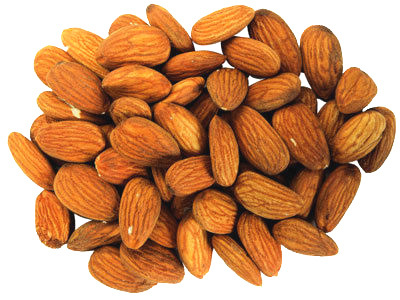 The activation and dehydration of these almonds, gives them an almost roasted taste. This process maintains the nutritive qualities traditionally associated with almonds. Our activation process involves soaking the almonds in filtered water before dehydrating this, which makes them really plump and gives an almost roasted taste. This process maintains the nutritive qualities traditionally associated with almonds. Activated Almonds are versatile and can be used in many ways. Fitness industry professionals often snack on, and recommend almonds as a healthy snack because of its high protein and low carbohydrate and fat content. They are also a great addition to anti-pasto platters & savoury trail mixes. Walnuts are renowned for their fatty acid profile and high omega 3 content. They are also a significant source of protein and dietary fibre. 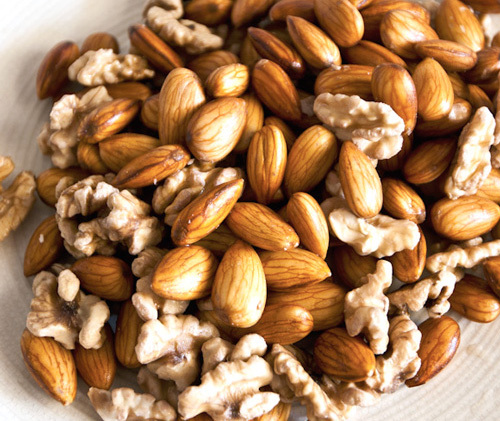 Activated walnuts have a crisp, crunchy the texture making them a delectable treat! In addition to heart health consumption of Omega 3's may help loose weight. Omega 3 fatty acids have been shown to lower blood triglyceride levels (fat circulating in your blood) suggesting more efficient metabolism of other fats by our livers. Consumption of walnuts has also been shown to lower cholesterol. 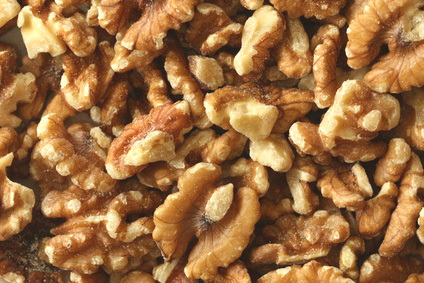 In addition to healthy fats, walnuts are a good source of protein, averaging about 17%. Walnuts are rich in the amino arginine. Arginine is responsible for vasodilation which supports efficient blood flow and arterial elasticity. In Chinese medicine walnuts are considered to be a kidney tonic. They are reputed to be beneficial for the brain, skin and digestive system.